Dr. Rebecca Dali is the Director of Center for Caring Empowerment and Peace Initiative (CCEPI). 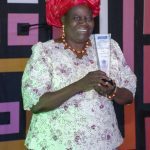 Her Non-profit runs three Skills Acquisition Centers in Jos, Yola, and Michika. 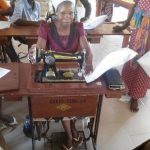 They specialize in training widows and orphans by teaching them for 3-6 months in either sewing, knitting or computers. As part of the computer training, the students worked on vivid Power Point presentations about their own lives. After giving the presentations to the other students, they discussed their stories; this sharing of trauma is an important part of healing. In the sewing section, students work on mastering the manual treadle and are learning to sew various dress styles. 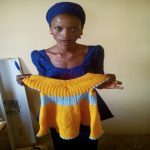 Knitting students are making baby sweaters and caps which will be used during the “cold” season in December and January. Another group learned to make women’s purses. 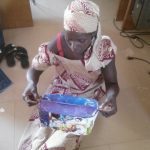 A widow named, Lella, said for the first time in three years her life was beginning to have meaning and it brings her joy each time she learns and makes something new. Keep Dr. Rebecca and each team of workers in your prayers as each center faces its own challenges. Some do not have enough chairs, others have no camera to document the work, transportation to and from the center is challenging, and there are always more who need help than the centers can accommodate.